October 28, 2017 - View trail maps here. 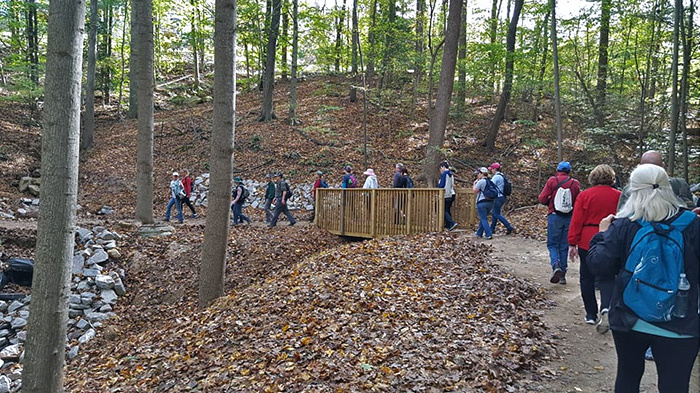 On Saturday, October 28, nearly 50 people joined Prince William Conservation Alliance and Prince William Trails & Streams for a hike down the beautiful Occoquan Greenway trail. We traveled seven miles, from Lake Ridge Park to the Town of Occoquan, over hilly terrain, through urban forests, and along streams. The initiative to open this trail for public use began ten years ago when we sponsored the first hike through this beautiful natural area. Today, about three miles of contiguous trail, from Lake Ridge Park to Cotton Mill Drive, is available to the public for hiking. October 6, 2007 Hike - View Trail Maps here. We did it again and had a terrific time! 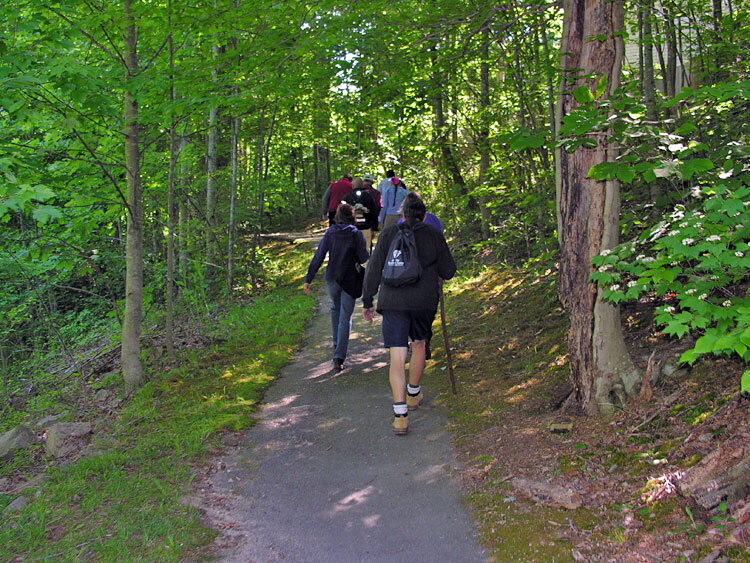 Fourteen hikers joined us on October 6 for the nine mile hike from the McCoart Government Center to the Town of Occoquan. This hike took a slightly revised route that helped keep us by the Occoquan River and away from neighborhood sidewalks. It was a beautiful day and everyone was smiling when we arrived in the Town of Occoquan! Given the current severe drought conditions, low water levels were the most noteworthy sight. Keep reading to learn more about the hike route...click here to view photos from the October 6 hike! 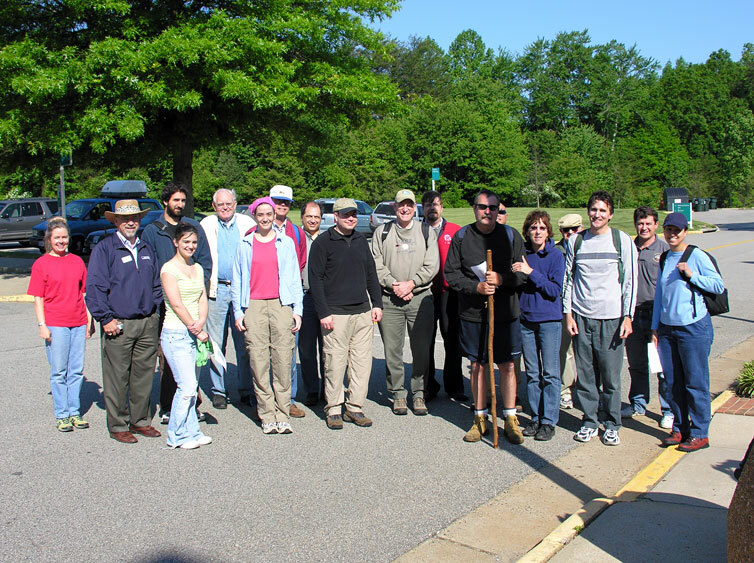 On Saturday, May 19, 2007, suburban trekkers hiked approximately 9 miles from the McCoart Government Center on Prince William Parkway to the Town of Occoquan. Click here to view the slideshow of photos taken during the hike! 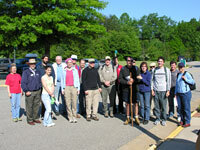 Altogether, about 20 people participated and 14 people completed the entire hike. We left the parking lot of the McCoart Government Center around 9:30 a.m. and arrived in the Town of Occoquan around 2:30 p.m., just in time for the Town's official dedication of the East Coast Greenway! 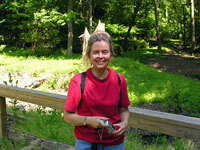 The majority of the hike traversed the hilly, forested land along the southern side of the Occoquan River. There were a couple areas where trail access was difficult and hikers used neighborhood sidewalks to connect the disconnected areas. 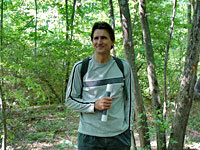 In other areas, powerline easements provided connections to trails through forested land. One of the first areas we crossed was Westridge, a planned community that includes approximately seven miles of public trails. The trail system was well maintained and the surrounding area provided a scenic viewscape that is appreciated by hikers and homeowners. Westridge is a great example showing the long term community benefits provided by incorporating trail networks and treescape preservation in development plans. 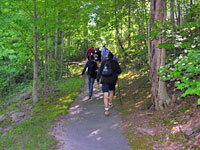 The majority of the trail lies within the Lake Ridge Parks & Recreation Association (LRPRA), where views of the Occoquan Reservoir and high quality forested land create high quality conditions for hikers and family activities. 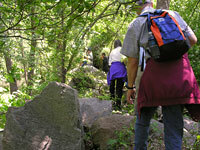 Although neighborhoods interrupt some trail segments, neighborhood sidewalks provide easy connections for long-distance hikers. The LRPRA area preserves a high-quality, undisturbed slice of the hilly, forested landscape that characterizes the Lake Ridge area. Many thanks to hike leaders Neil Nelson and Marilyn Schultz, who scouted the hike route and coordinated with landowners to secure permission for the event. And thanks to Jack Kooyoomjian for meeting us at Lake Ridge Park with a supply of ice cold water! Many thanks to National Capital Land, Westridge Homeowners Association, Lake Ridge Parks and Recreation Association, Thousand Oaks Homeowners Association, Fairfax Water Authority and the Town of Occoquan for their support! 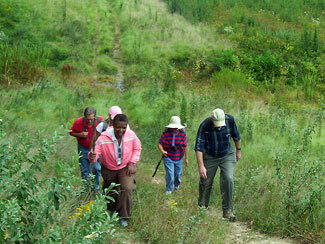 This was the first time a group of people hiked this trail and we had a wonderful time. We're planning to offer this opportunity again in October 2007 and hope you can join us then! For news about this and our other programs, check our online program schedule, contact us 703.499.4954 or email alliance(at)pwconserve.org to make sure you hear about our next hike.